The Canadian sledge hockey players beat the Norwegians in the match for third place and won the bronze medal of the tournament at the Paralympic Games in Sochi. Qualification tournament of the Paralympic ice sledge hockey match was won by the Czech Republic. 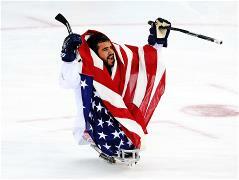 South Korea proved the stronger team in their Sledge Hockey match against Sweden, beating the Swedes 2-0.